Hope you enjoyed the show until the next Movie Day Have fun! You sure had an interesting time Speedy! Mee-you Lopwell an Dartmeet are grate placess!!! an Speedy you look so happy hippy hoppin about an havin sum wild nomss! An what thee KAT iss goin on at Cadover?? Such a beeuteefull place an people litterin there??? That iss 'not on'!!! No no no!!! grate movies.....speshelly after all thee hard werk wee did today!! 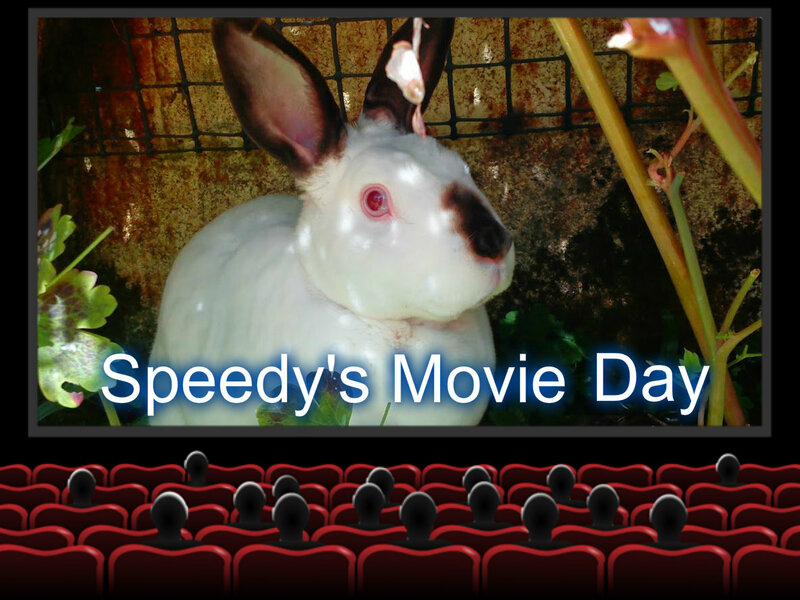 At least SPEEDY is a tidy bunny; he stopped to clean his feet and away he goes, clean and sparkling! Oh, what a shame that people won't respect nature and just take their trash. There ought to be stiff fines for that....here in some areas, you could get fined up to $2000 for littering! In spite of the trash, that looks like such a relaxing place to be. Hugs to you both! Loved seeing your movies Speedy. Sweet movies today, S. I am also not allowed to eat trash. It's so unfair. I was hoping you'd at least taken a bite of that buttercup flower, because I wanted to know if it tasted like butter. I am also not allowed to eat flowers. I don't blame your human for complaining about the trash - humans are rude! I love the vintage effects on the Google videos. It's a good thing that you don't have a star on the Hollywood Hall of Fame. The star would pop up and hop away. 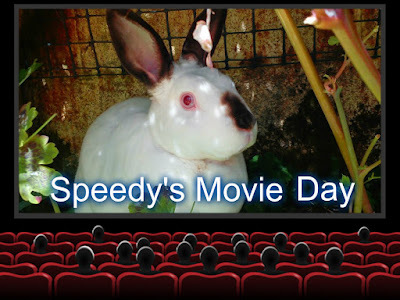 Mom: Great movies, Speedy! You look like you so enjoy the outdoors! Gizmo: OH MY BUN! Speedy, mes would bees so scared! Mes so afwaid of da outside! Yous vewy bwave, mines fwiend! Ebony: Go, Speedy! Yous having a hoppening good time!! Ah! My most favorite day of the week! Mes LOVES your videos! Mommy biggifies them and mes watches with rapture! You do have some fine outings - nice to see you stop for tidying up in the middle there.